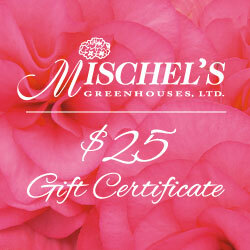 $25 Mischel's Greenhouses Gift Certificate - Perfect Gift for any Gardener! 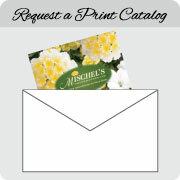 If you would like to send a gift to a gardener but don’t know what he or she might want, then consider a Mischel’s Gift Certificate. They make a perfect gift! $25, $50 and $100 Gift Certificates available.